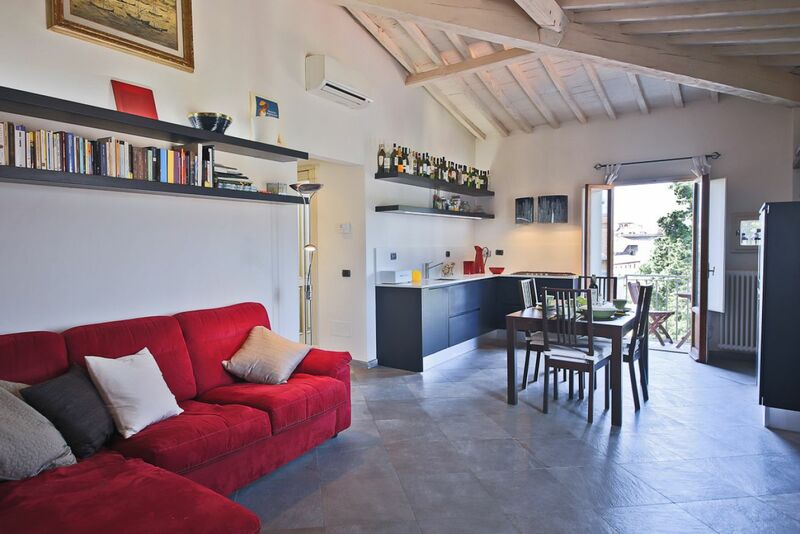 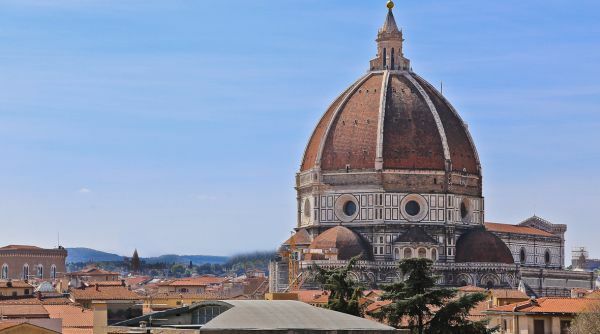 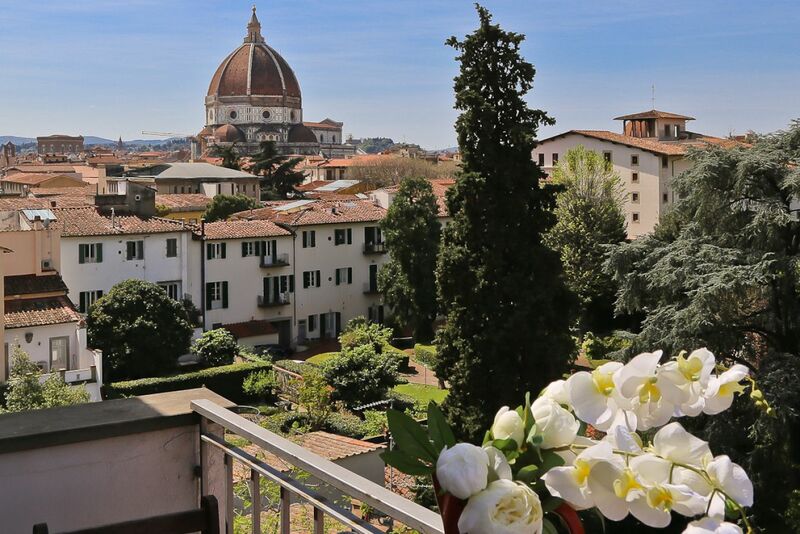 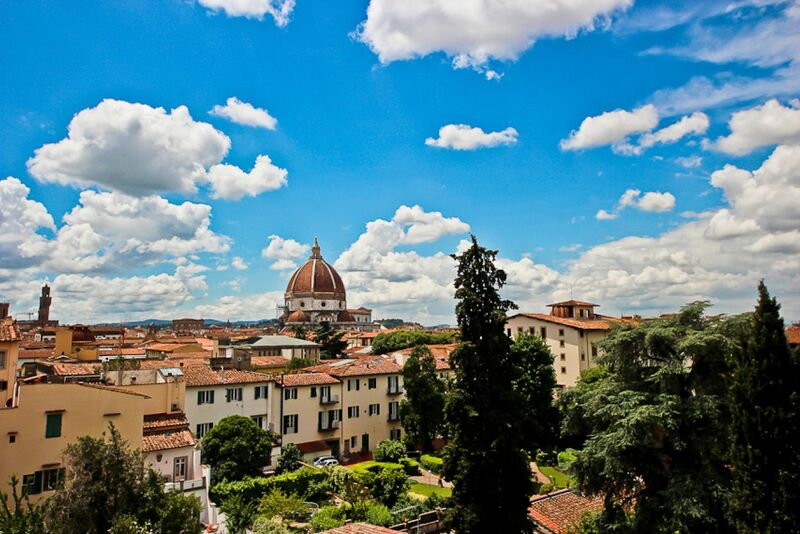 Bright and spacious vacation rental with sweeping views of the Florence cityscape. 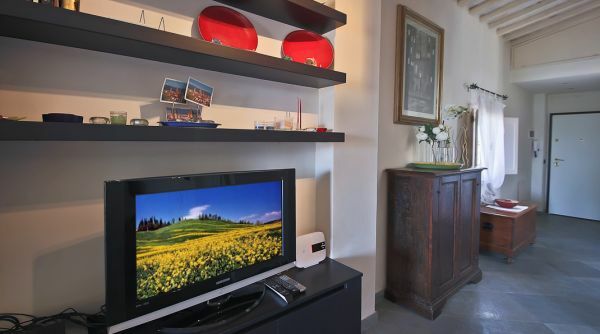 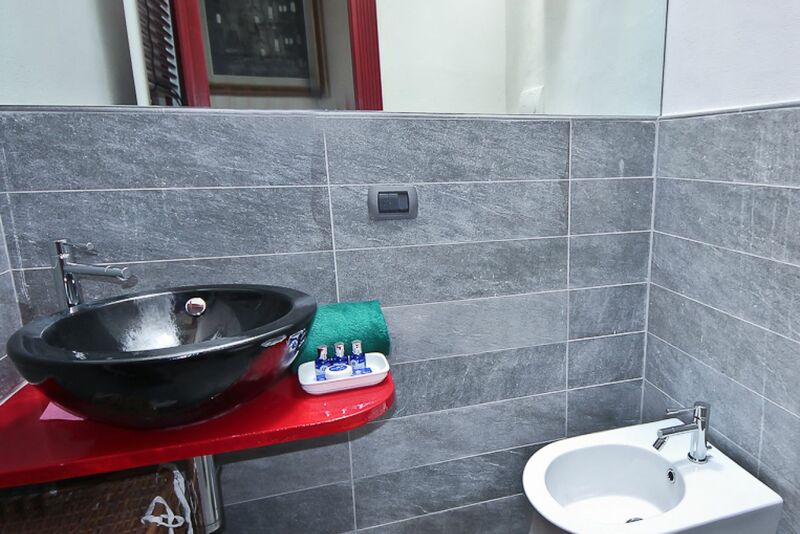 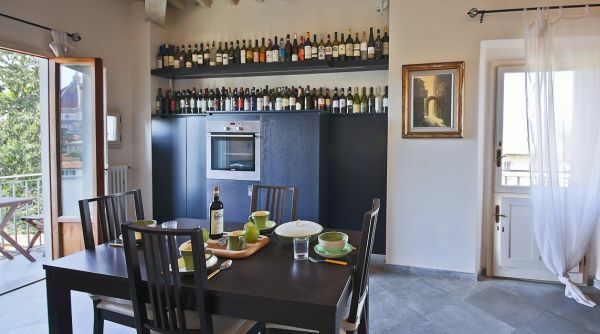 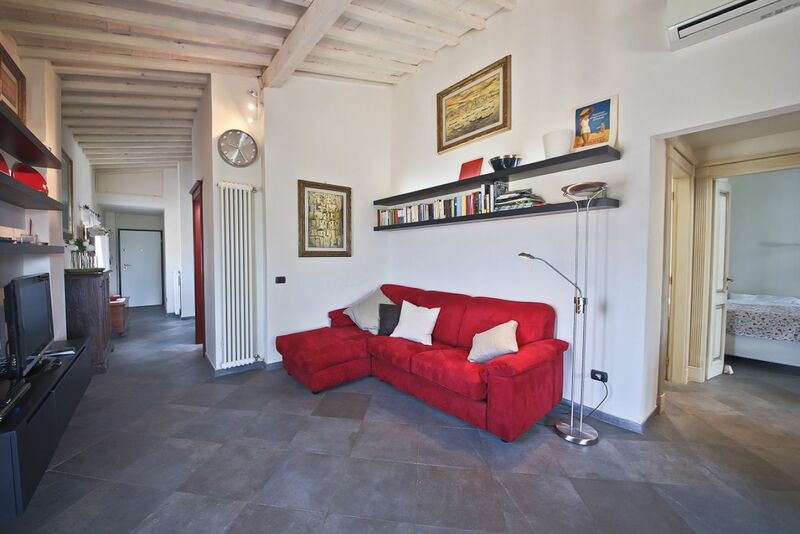 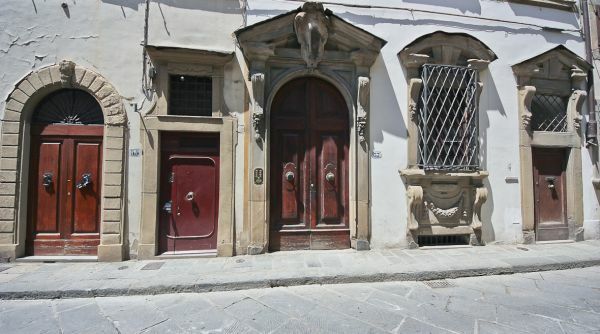 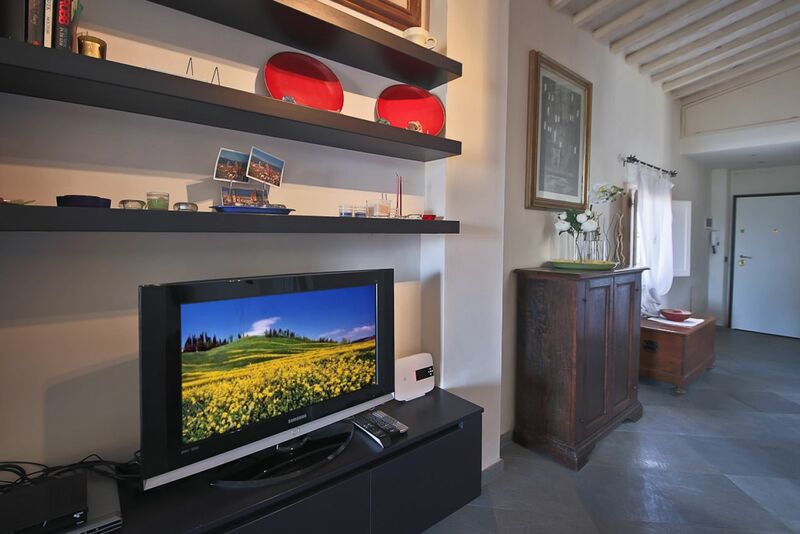 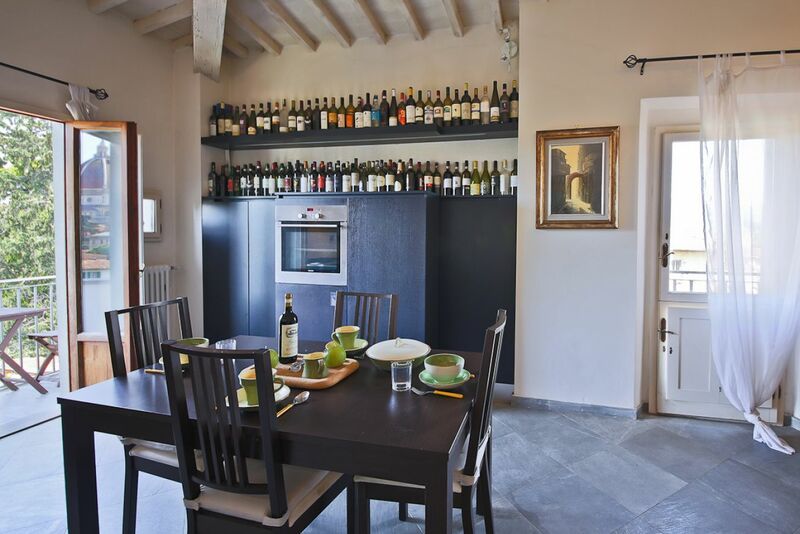 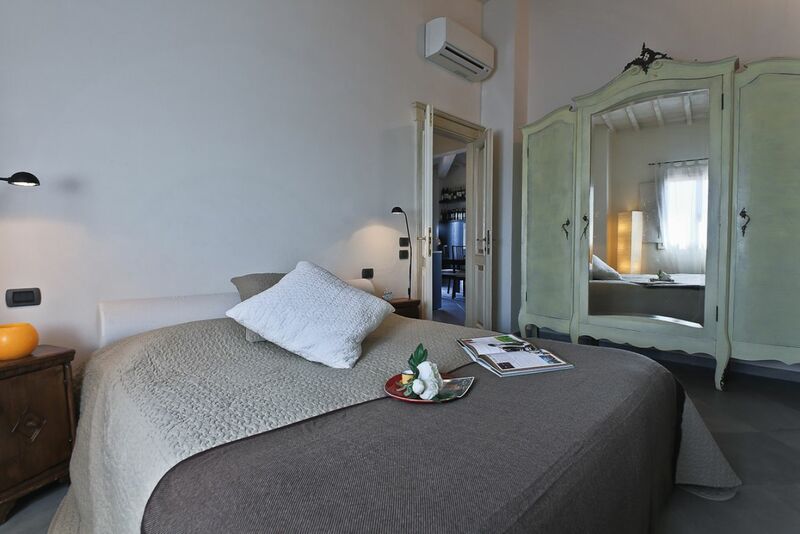 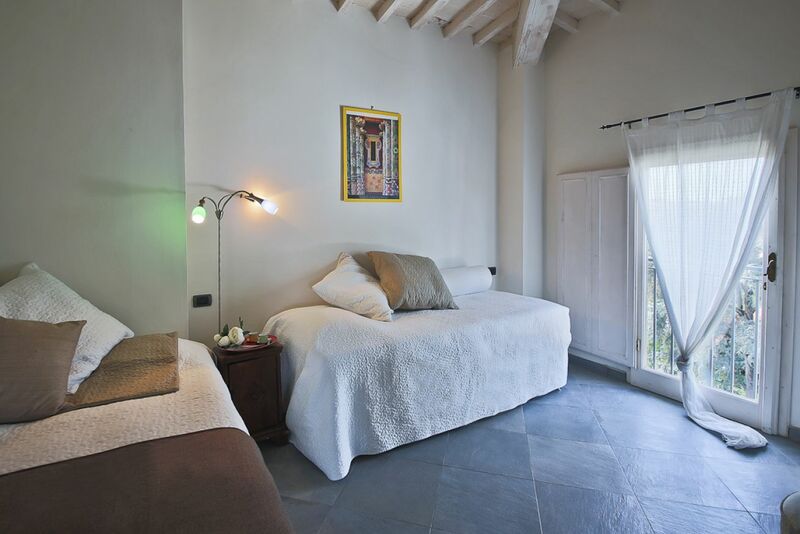 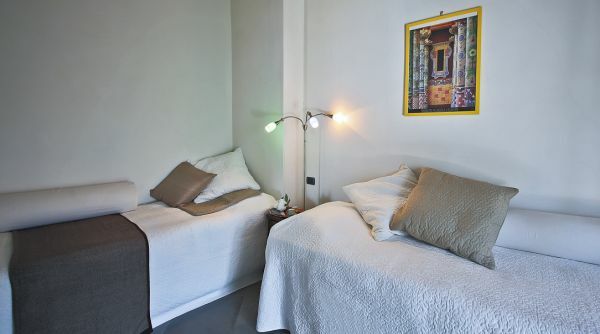 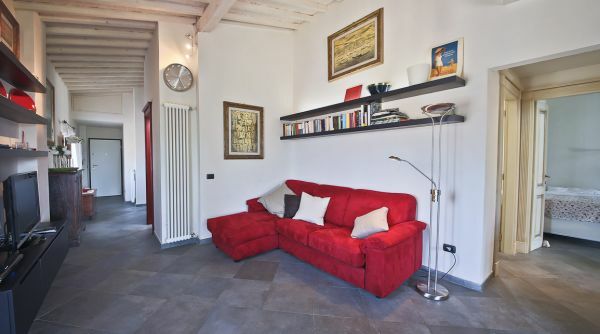 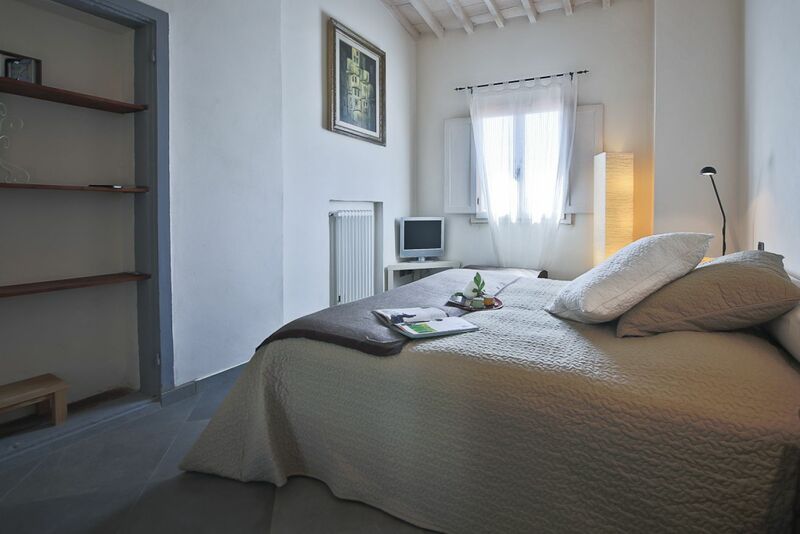 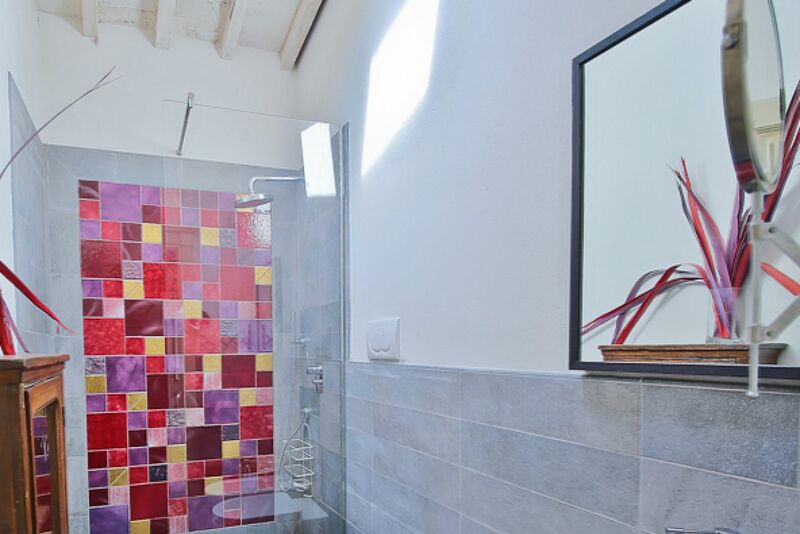 This well furnished apartment is situated on the 4th floor of Palazzo Leopardi, a historical building dating back to the 400’s, on Via della Pergola. 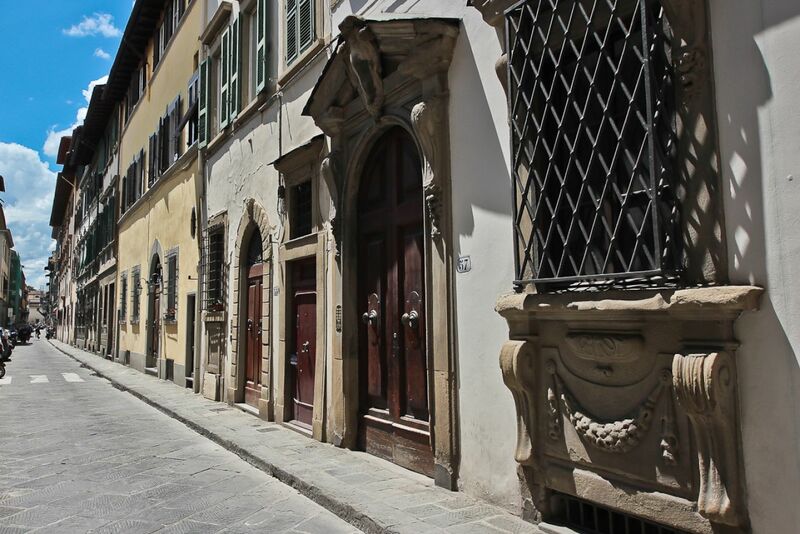 A well known Florentine street, home to the renowned opera house Teatro della Pergola. 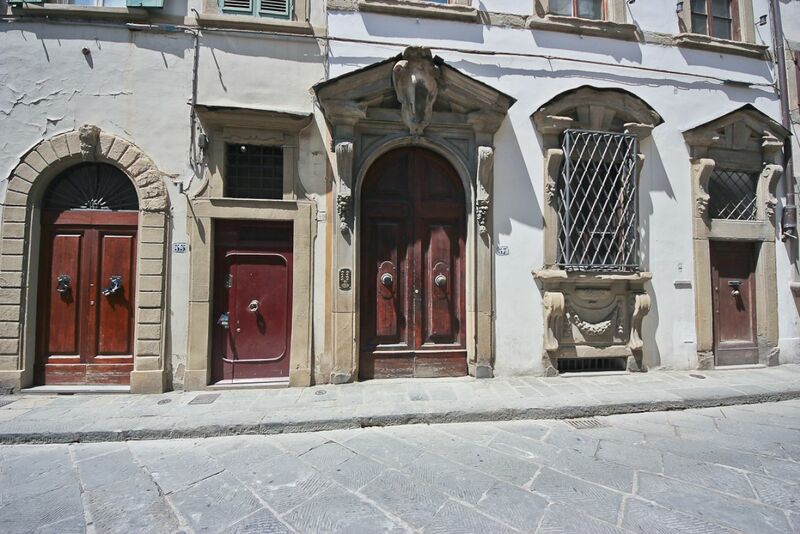 Built in 1656 under the patronage of Gian Carlo de’Medici. 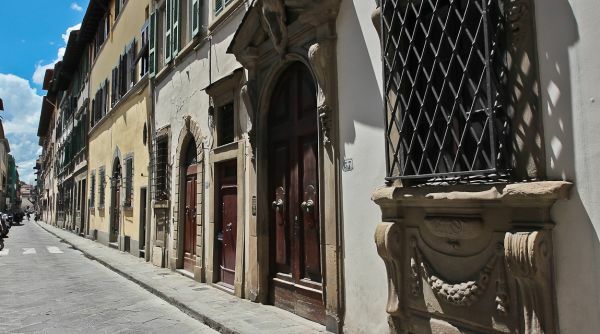 Considered the oldest opera house in Italy, this national monument has hosted operas from some of the world’s best known composers. 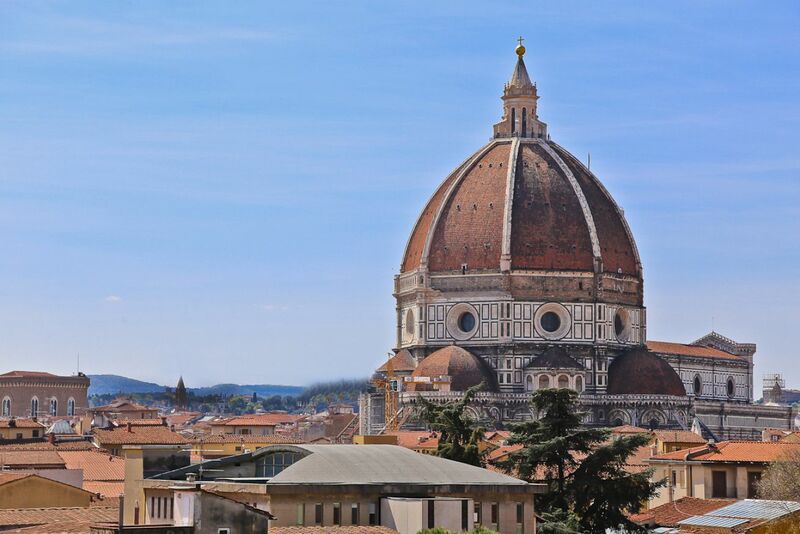 This wonderful location, just a 5 minute walk to the Duomo, is truly a prime starting point for exploring the city. 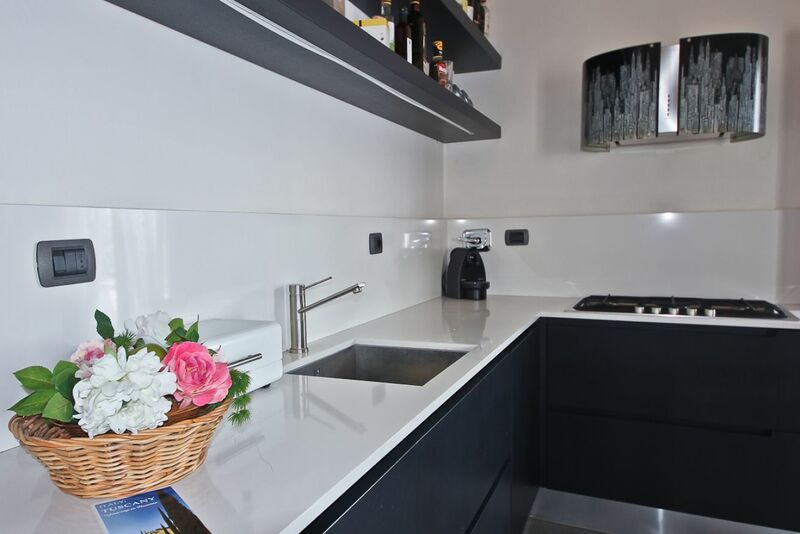 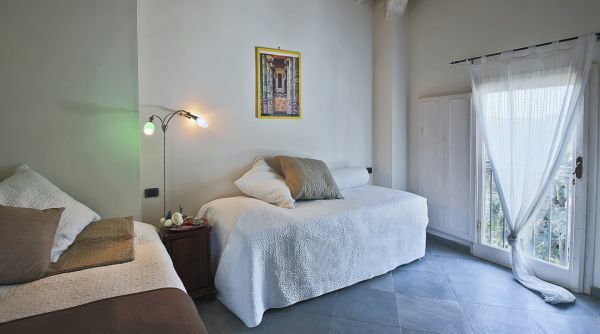 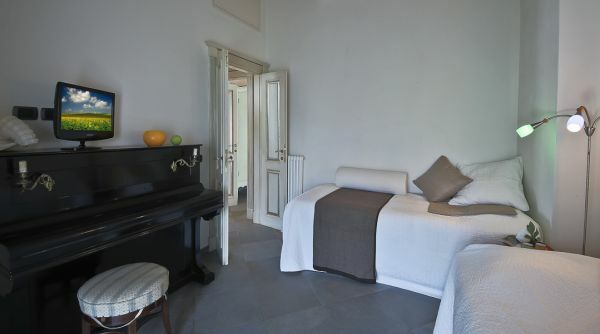 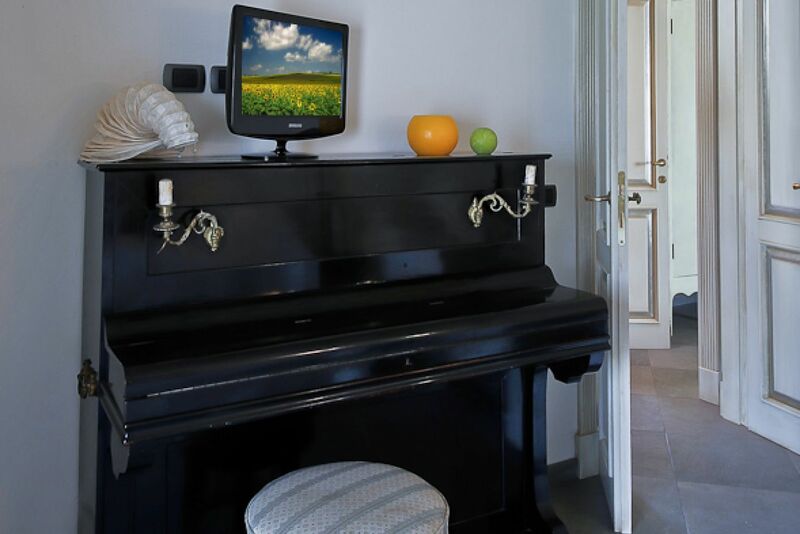 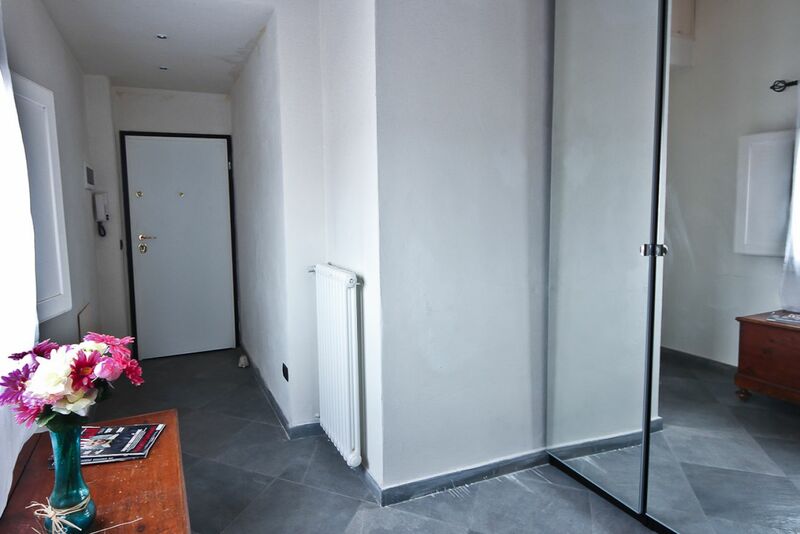 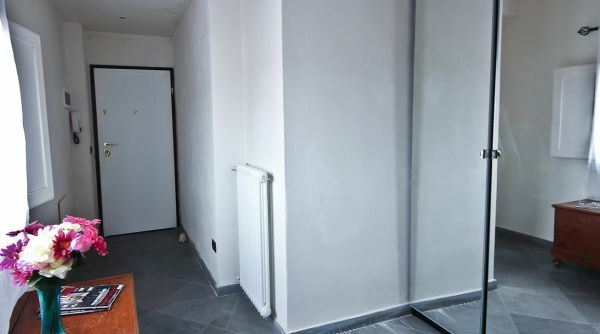 The apartment can accommodate up to 4 people, with 2 bedrooms, 1 ½ bathrooms and laundry facilities. 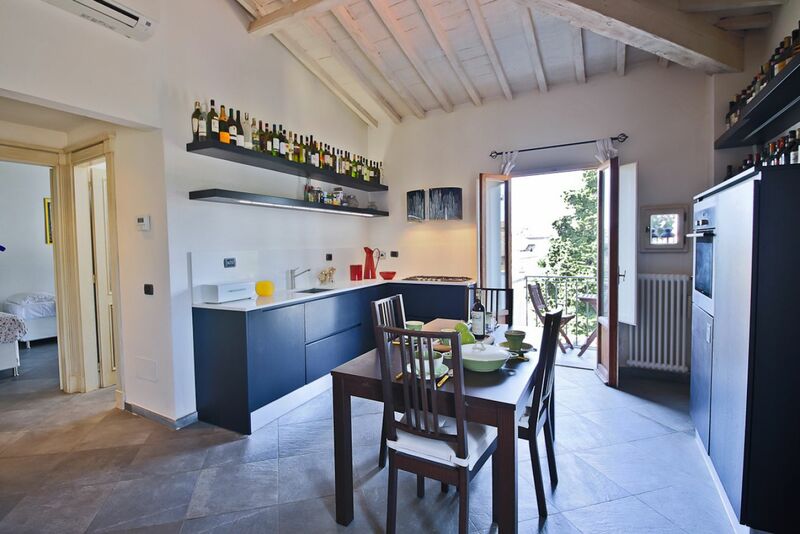 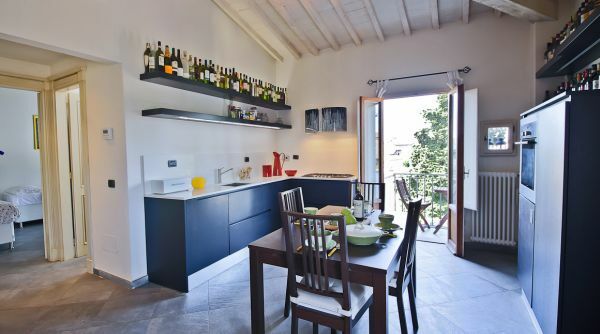 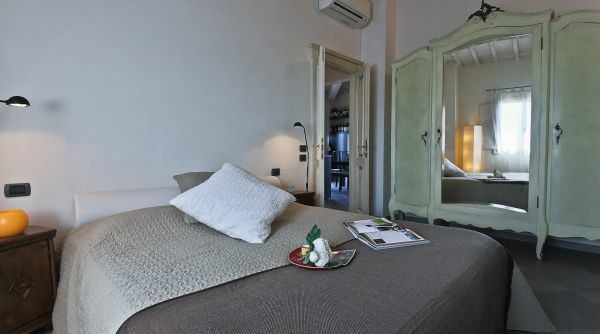 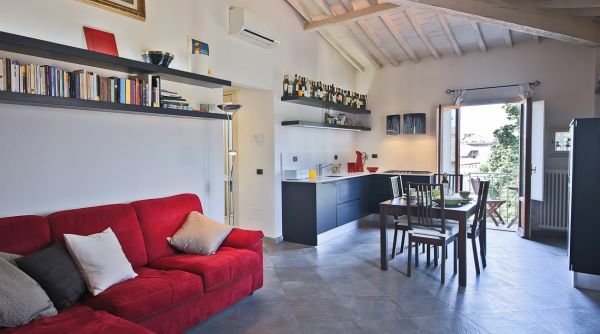 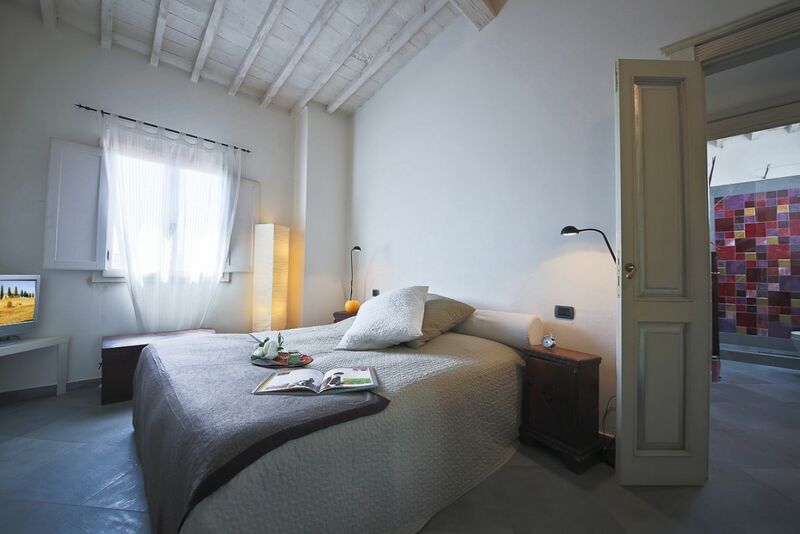 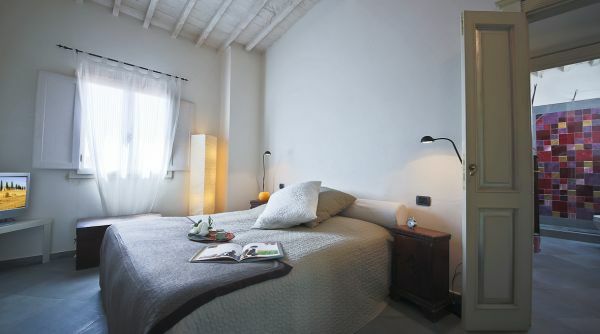 Completely luminous with high ceilings of exposed white washed wooden beams, the apartment is a perfect mix of contemporary design and authentic Florentine charm. 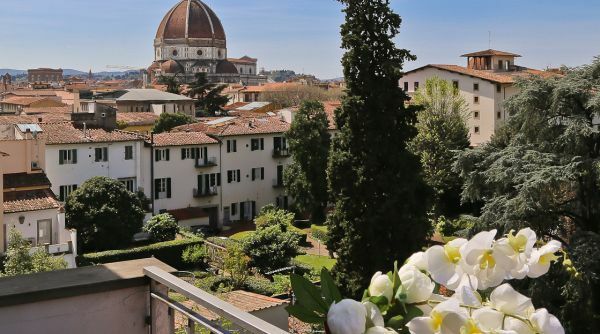 The open plan living/dining area leads to a charming balcony offering spectacular views of the Duomo and hills surrounding the city. 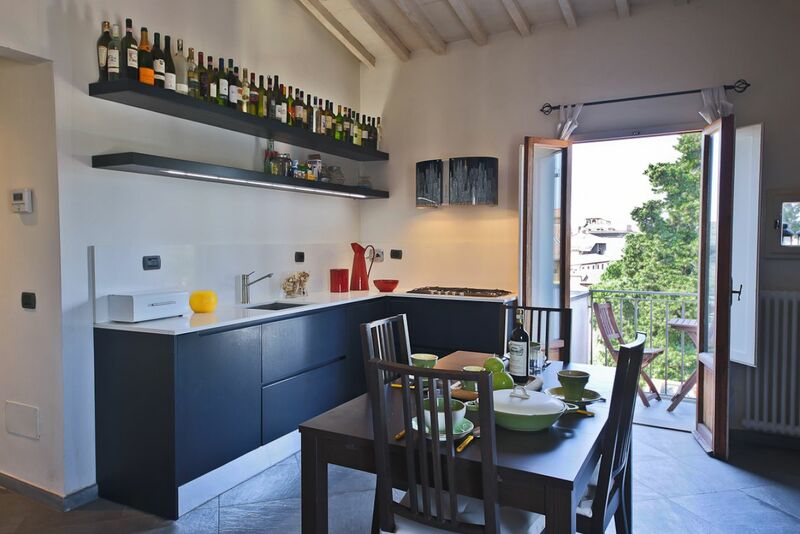 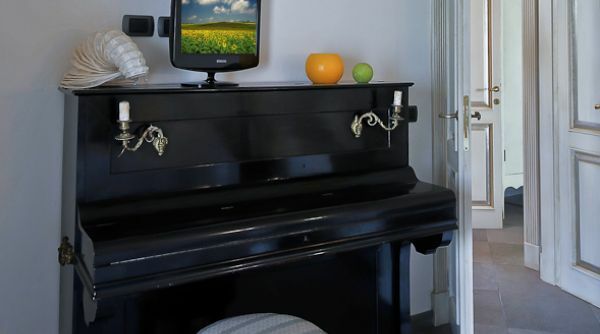 The modern kitchen is fully equipped with all of the necessities. 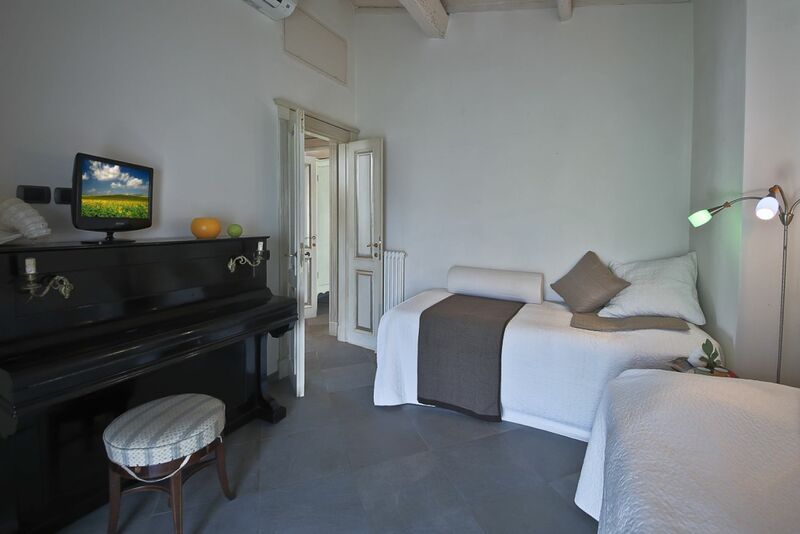 Off the living area you will find the bedrooms, both spacious and bright, the master with queen bed and second bedroom with 2 single beds. 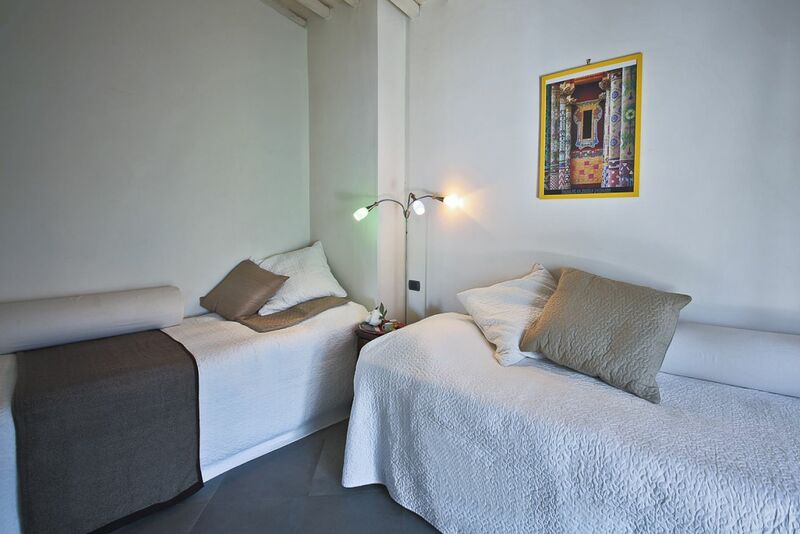 Each bedroom offers comfortable and tranquil living space. 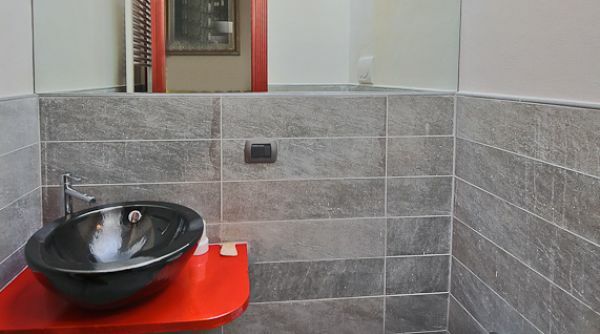 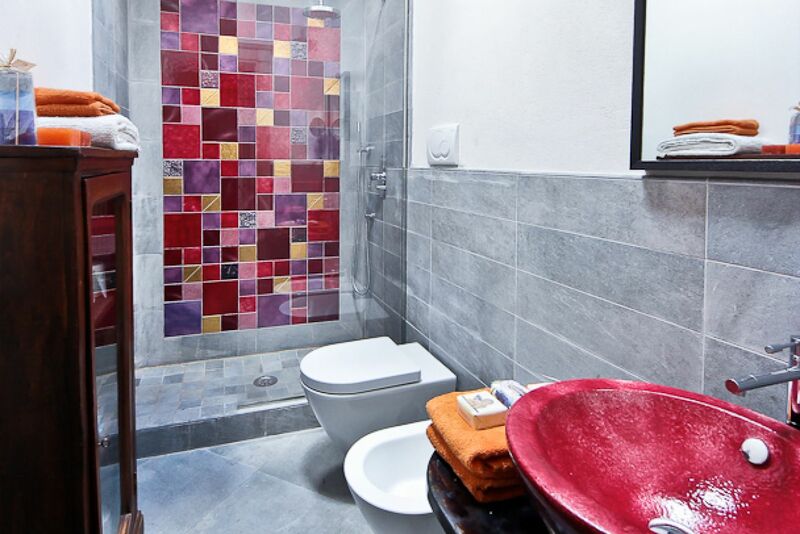 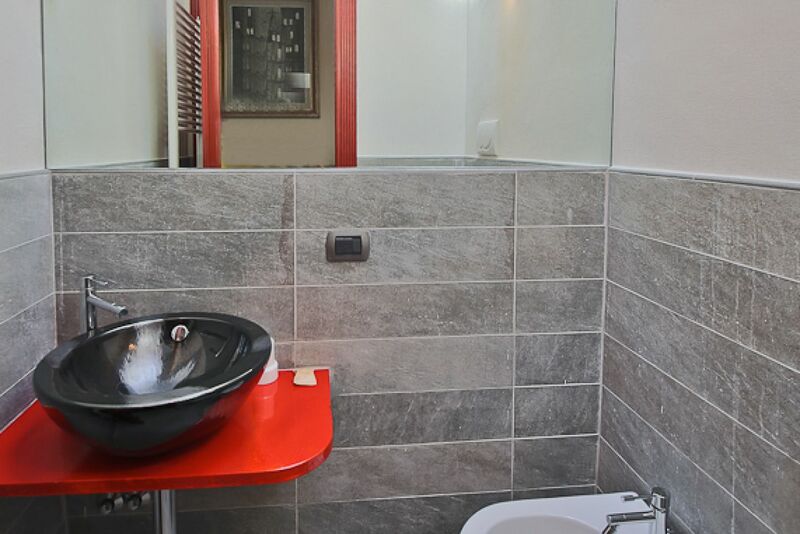 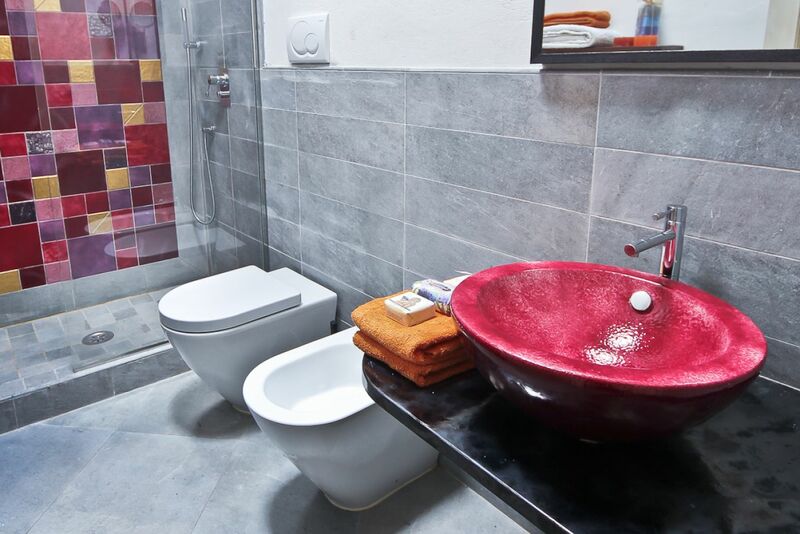 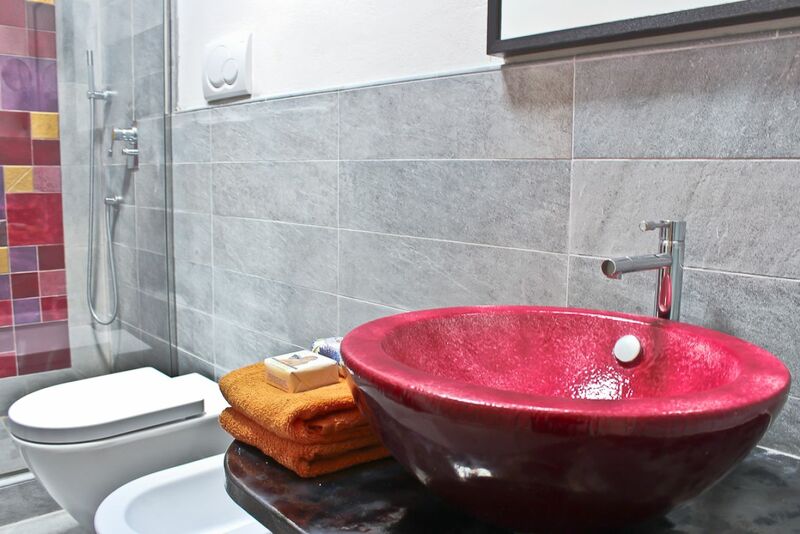 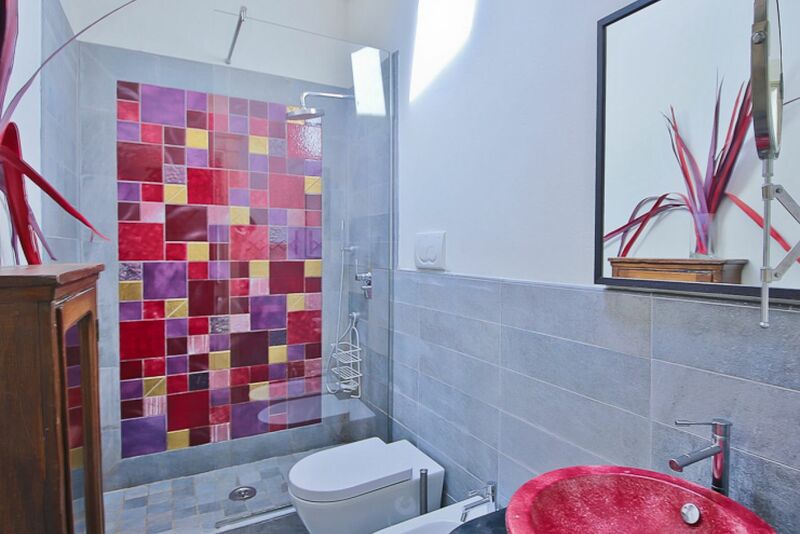 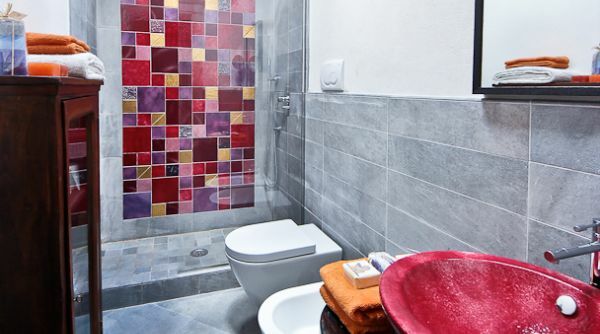 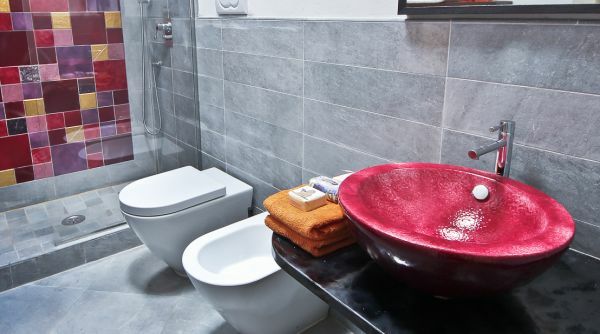 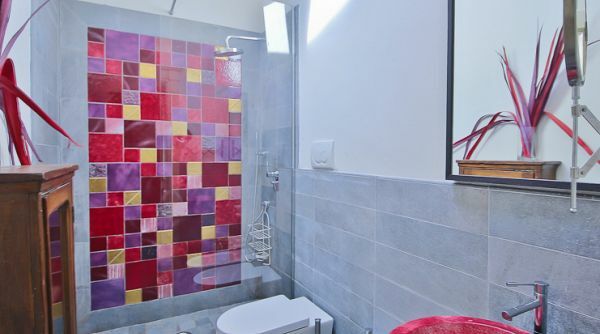 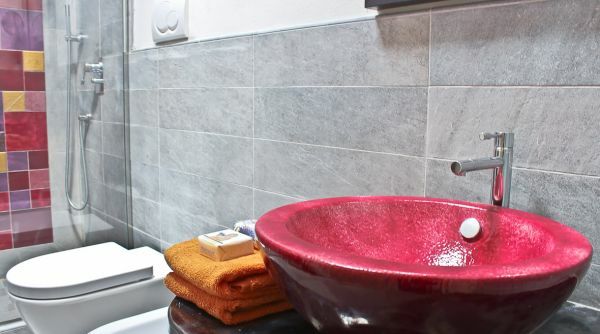 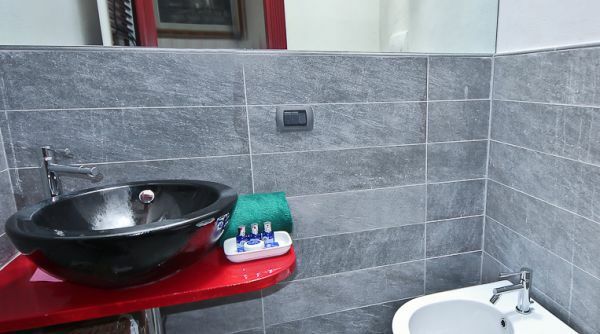 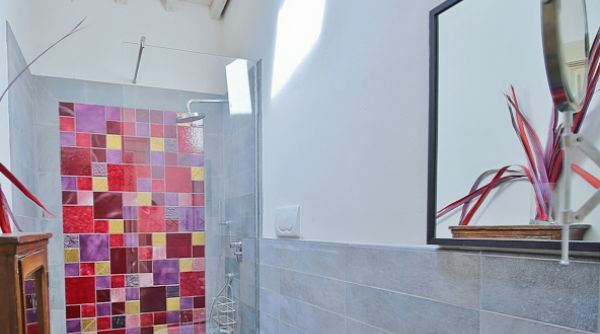 The bathrooms have been renovated with all modern fixtures of the highest standard. 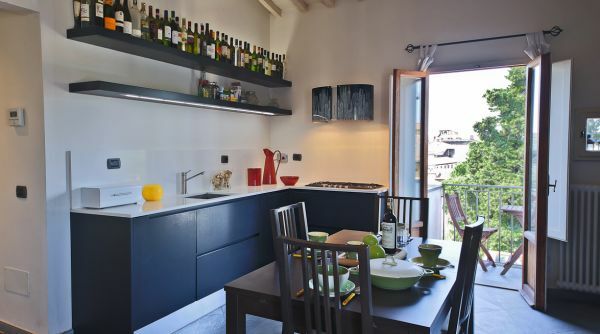 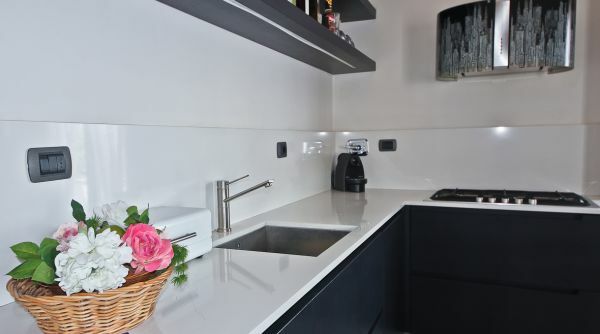 This modern chic apartment is a welcome find in such an ancient city. 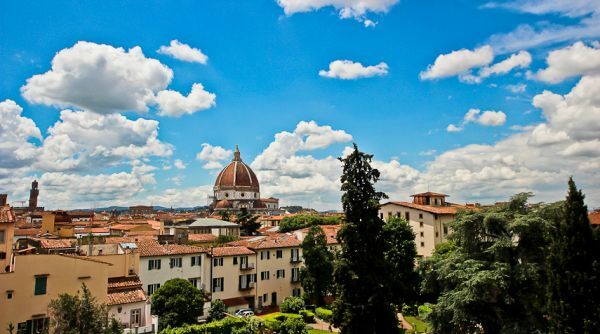 Providing you with all of the comforts of home and the opportunity to experience the magic of Florence from your window.